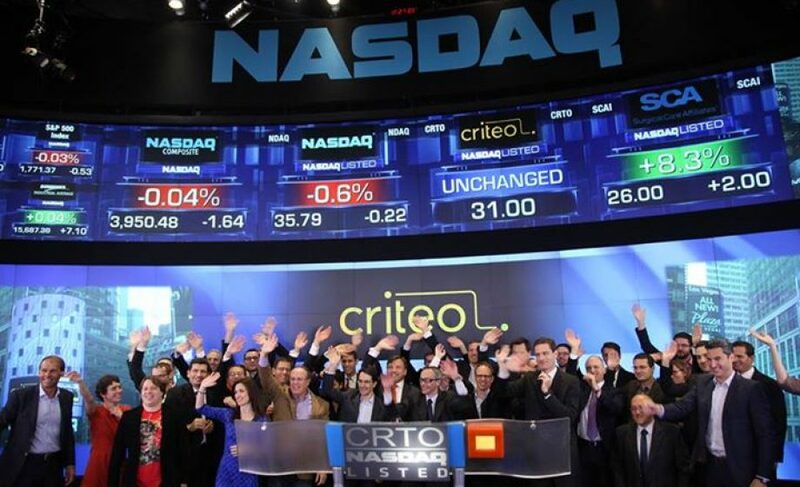 One year ago today, Criteo opened up trading and raised more than $200 Million in its Nasdaq IPO. Since then, the company has made several acquisitions – Tedemis, Ad-X (just before the IPO), AdQuantic – and has faced some Ups and Downs on Wall Street. There was a rumor of a Publicis acquisition which died down, and now earlier this week ComScore announced that Criteo was touching nearly 1 Billion users per month. There have also been many changes within the team, which is entirely normal for a technology company. It requires a different set of skills to pilot a public company than to build a private one. What got Paris excited about Criteo’s IPO was the idea that the wealth generated by the VCs and Key Executives involved would trickle down, multiply within the ecosystem, and create the next generation of startups. Without further ado – let’s see where the key team are today (their title at Criteo at the time of the IPO in parantheses). Franck le Ouay (Chief Scientist & Co-founder) – I last ran into Franck at the fall edition of the Paris Founders Event, where he seemed quite happy and relaxed. It turns out, earlier this month, Franck left Criteo (along with Romain Nicolli, Franck was one of the original co-founders, starting out in 2005), and is working on a new project, which we’ll likely here more about at the January edition of #PFE. Greg Coleman (President) – the resident American on the executive team, Coleman’s previous role at AOL was essential when he was brought on board at Criteo’s NY office to help pilot the IPO. Today, Coleman’s jumped ship as President of Buzzfeed, the media outlet which recently raised $50 Million to scale its sponsored content technology – I’m sure Coleman’s experience at Criteo will play a key role here. Pascal Gauthier (COO) – Pascal Gauthier has also left Criteo, and is currently Entrepreneur in Residence at Index Ventures. Among other roles, he’s an advisor for Teads, a video AdTech company which has billed itself as the next Criteo. Gauthier is also working on a few projects of his own, one of which is aptly named “Challenger Deep.” He’s been joined by former Developer lead Vincent de Lagabbe as CTO & co-founder. In addition to these key players, we’re also seeing other high-level team members launching new companies, like Maxime Agostini, who launched AlephD, which raised €2 Million from Partech International last November. Formerly VP of Engineering at Criteo, Julien Simon since went on to be CTO at Aldebaran Robotics, but has jumped ship to Viadeo as of this month as their new CTO. Nicolas Messelet (Product Manager, Publishing Platform) has gone on to be a Product Manager for Ezakus, the pre-targetting advertising company which has raised nearly €5 Million to date. Benoit Portoleau (Head of Central Sales) has gone on to become co-founder & COO at Alkemics, a startup leveraging big data to deliver valuable product data to the FMCG (Fast-moving consumer goods) market. Frédéric Clement (Product & Marketing Manager) has gone on to become Partnership Director at Lengow. Tom Triscari (Director, Publisher Marketplace & Business Intelligence) is now CEO of Yieldr, a solution for programmatic advertisers. There are undoubtedly handfuls of other Criteo team members who have gone on to do other great things in the startup world: launching new companies, bringing their experience to a new company, investing in new companies. 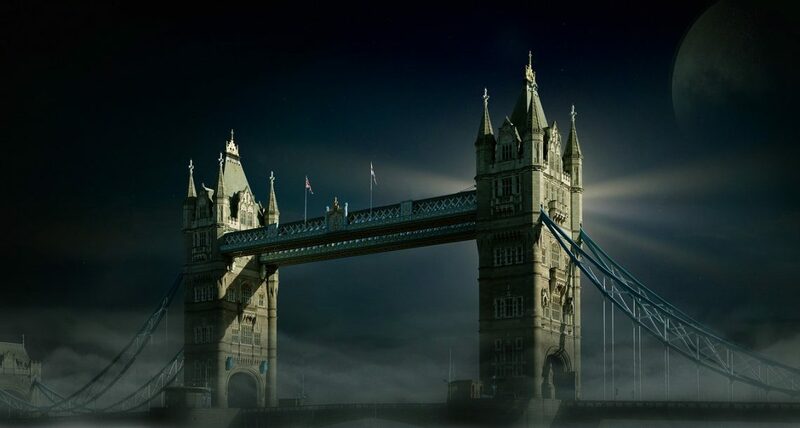 It’s only been 12 months since the IPO, and I imagine that when it’s been 5 years, we’ll have a more complete picture of the impact that Criteo has had on the European Tech Scene. If you’d like us to add someone to this list, comment below (ideally with former title, current title, and linkedin profile URL). 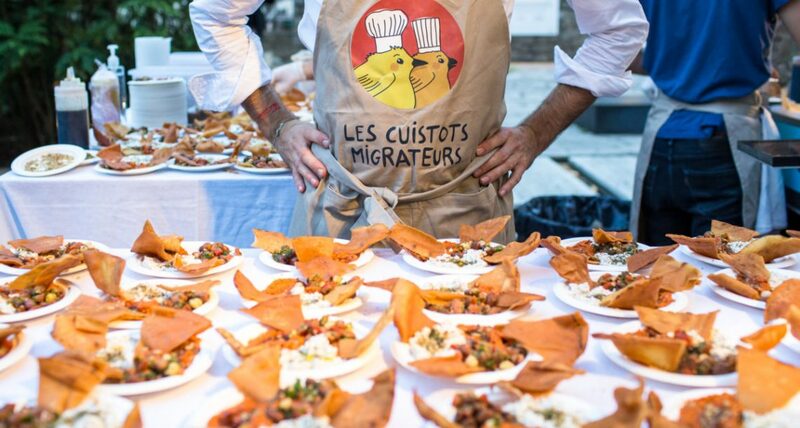 Hat tip to Frenchweb for their useful article on Criteo’s executive team at the time of the IPO. Hat tip as well to Frédéric Clement, who provided a few of the names listed above! After having served 3+ years at Criteo as VP R&D, I am now co-founder and CTO at Shotgun. Shotgun is an inciting and intelligent way of mobile commerce. By combining machine learning algorithms to an intuitive user experience, we provide our users with an instantaneous access to exciting offers that match their interests. As for our business partners, they get an efficient user acquisition and sales funnel, taking fully advantage of the mobile medium.